Everyone has their own awareness and belief about good and evil. I can only share what I have learned since accessing my own Akashic records and the Lower Astral Level to which we are all exposed and experience throughout life. Within the astral plane are many different levels of existence. When we remember that the heart chakra is attached to both the upper and lower chakras, exploration of the astral becomes one of a spiritual as well as physical nature. All things being interconnected and part of a whole, whatever people believe to be truth, is created and dwells within the astral plane. The astral body and astral consciousness experientially travel throughout the astral plane continually. In the physical plane, we, our planet and solar system are all within the astral plane. The astral is a repository of the energies of the Cosmos on their way downwards and it is a receptacle of whatever passes out of the physical sphere on its way upward. Exploring the astral plane is like going to a library that is filled with an immense variety of categories and experiences. Each person’s book of life as well as all the stories of creation is catalogued within the astral library. All information and learning in the astral is transmitted and received through a process of osmosis. In this manner, we actually absorb information though our inner awareness and understanding. In metaphysics, the astral library is often referred to as the Akashic Records. To understand fully the volumes of information we have access to here; we need to become spiritually integrated. The five outer senses are of little use when exploring the astral plane and Akashic records; opening and developing the inner senses is primary. One of the levels of experience within the astral plane is referred to by some as hell, or purgatory. This dimension is where the so-called demons reside. Every thought and emotion humankind experiences produce energy. Through our fears and vivid imaginations, we create energies that often produce entities. 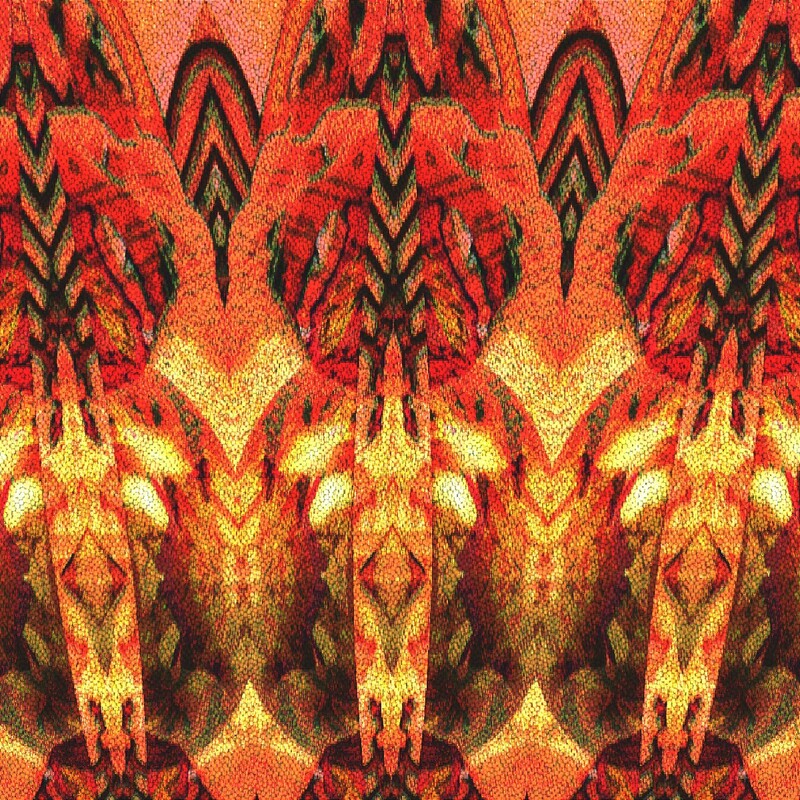 These thought forms dwell within the astral plane and are seen as demons. Not all demons are bad. Many religions refer to Angels and other beings of light as being demons as well. Yet energies that are created from ignorance and fear are dark energies and feed off the negative emotions of man. Needing negative emotion to survive they often attack humans in their sleeping and waking state producing fear and hatred so as to feed. Hence came the lore of vampires. Seemingly, human beings cannot make themselves do what is good unless they have the threat of evil to overcome. This martyr program has been taught as a religious dogma helping humans acquiesce to it as being their nature. The power of evil is great only because of the power we give it. Energy creates, and beliefs are very potent energies. When people believe in fear, pain, chaos, and deprivation, these projected energies take on a form and life of their own. The dwelling place of these vampire energies is known as the lower astral. These are our energies; therefore, they become our demons. When we die, these entities remain in the lower astral awaiting our return to earth. When we reincarnate, these energies are restored to us because we are their creators and only we have the power to un-create them. We must see for ourselves what we have initially created, before we can create anew. Because all things are created from energy, all things can be brought back to a pure energy state. Reacting in fear or ignorance when confronted with these creations blocks our spiritual progression. By continual denial of the existence of these blocks, humans remain stagnate and remain stuck in dysfunction. When we open our hearts to transmute our creations, “our demons”, they disappear. This only happens by us bringing them a pure energy state of love. Love is the eternal fire of life that burns within every heart. Love is the greatest healer that we have. 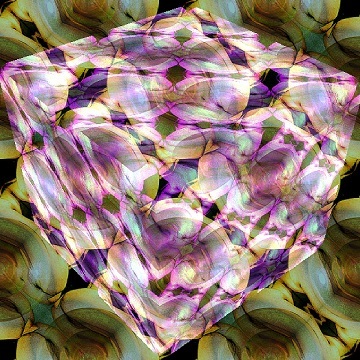 Heavenly worlds of color and geometry also dwell in the astral plane, awaiting exploration. 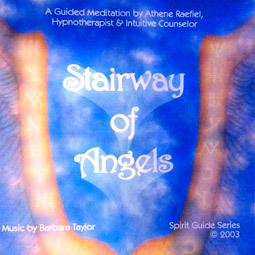 Using astral consciousness, one can see and experience Angels and Teachers of Light. These beings use this plane of consciousness, to make themselves visible to us. Using our astral consciousness, we can visit other universes, galaxies, and beautiful temples of love. The astral plane was created for us to have direct accessibility to our companions in spirit. These beings are known as spirit guides. These guides and teachers of love are part of our spiritual family. They are always with us in spirit helping us understand the spiritual nature of our earthly journey. When people first begin consciously journeying within the astral plane, they tend to doubt the reality of their experiences, suggesting to themselves that it’s all imagination. They find it inconceivable that such a glorious and magical life can exist in the midst of our chaotic everyday existence. It is the outer world senses and learned responses that are at first difficult to override. It takes time and training to experience and accept the different realities that exist, especially when they exist within you. Our perceptions can only change when we open and allow it to happen. When we take the time to explore the astral realm, we can discover a limitless multitude of spirit awareness and personal understanding. The astral plane, also called the astral world, is a plane of existence postulated by classical (particularly neo-Platonic), medieval, oriental and esoteric philosophies and mystery religions. It is the world of the celestial spheres, crossed by the soul in its astral body on the way to being born and after death, and generally said to be populated by angels, spirits or other immaterial beings. We are multi-aspected beings. What this means is that we are always an adult as well as a child, a teacher, a student, a spirit, a soul, a body and so on. If we were stunted emotionally by childhood experiences, we find ourselves re-living those experiences continually throughout life. Most families are comprised of adults whose reality is an,” accepted fear for survival”. When raised in such an environment children experience a life filled with fear and attachment as a way of surviving. When a person is brought up in an environment of denial and pain, they stuff their child-like emotions into the deep inner recesses of their being. These things often happen at very early ages and stages of life without us ever even knowing it took place. Freeing these repressed child-like emotions is key to the soul’s journey. As it says in the Bible, “Ye may not enter into the Kingdom of My Father lest ye come as a child”, refers to this emotional internal freedom. This child within us is our unconditional loving part. Like a child who has been abandoned by a parent, the child within anxiously awaits our return. Because the child within has been damaged through its life experiences involving family and environment, our first memories and responses to it may be painful. Emotions of anger, resentment, hurt, even rage, can be covering the deep love within. Sometimes when these emotions re-surface the instinct to re-stuff the child within may be strong, yet the child within holds the key to emotional freedom. All the pain that has been held inside must be released. Once you have reintroduced yourself to your child within, the true healing of self can begin. For all of us, the child within is at the heart things. It represents our unconditional understanding and inner divinity. Healing and opening ourselves to learn as a child again, allows us to use the wisdom and experience gained by becoming an adult. Our child within assists us in a process of learning anew. We can now parent our child within , by sharing, nurturing, loving and accepting him/her. By establishing a new way of development for our inner child, we can create a new bond of trust and hope for the future. As you get to know your child within, you may begin to realize just how fragmented you have become. You will discover that your child within has many aspects to be explored. Your inner child may even be a child guide and companion helping you on your path of discovery. As you begin allowing the child within to be your guide, while discovering additional child like emotions buried inside, you discover whole other parts of the emotional body you have suppressed. These emotions represent distinct stages of growth and development in life when emotional development was stunted. We discover that we become emotionally stuck, because as children we do not have the tools to understand and resolve our dilemmas. As long as the child within is imprisoned, we will continue to face the same emotional dilemmas in life as we have in the past. Freeing and healing the child within allows us to change and understand others and ourselves emotionally. The consciousness of the emotional body is connected through our sacral chakra. Through the cleansing and healing of our emotional body, we elevate our emotional vibrations to a heart-felt energy level and transmute the pain of the past. We reinstate the child within to our heart chakra where it can grow and dwell in a place of joy and peace. Brrrr it has been rather cold here lately. Always makes me worry more about the homeless people and how they are staying warm. My husband says I worry too much about things that are out of my control. Yes I guess that could be right, but nonetheless I do concern myself with these things. The Caravan coming to the US and how we have the military putting up barbed wire to stop them; we should have FEMA at the border crossings they will be coming to. Yes this is a National disaster and I thought that was how we responded to such. People of Yemen starving to death as well as other countries peoples. I don’t get it. How can I sit in my nice warm house with plenty of food and not care about starvation? The massive amount of homelessness in this country as well as others; so many people and children displaced? How do we ignore such things and get on with our happy lives? I am a spiritual being who believes in balance and harmony of some sort, but I am hard pressed to find it in our culture as human beings. I don’t get it. Caring and kindness are inexpensive items that we should all have more of. I believe we can do better to help mankind and this planet. Today I pray for the minds of men and women to awaken to their true calling in life. I pray for the healing of human minds that choose to kill and destroy life to get more reasoning. I pray that people understand people and start acting as though they care. I pray for the strength and wisdom necessary to survive the present moment all that lies ahead. I pray for my children and grandchildren to find a meaningful purpose within their own lives. I pray for our ancestors to help us heal the minds and actions of men everywhere. I pray for the poor to find food and warmth and jobs if needed. I pray for every single soul upon this planet to realize this is simply one rung of the ladder of lights they will need to progress beyond death. I pray that we as a people begin to understand we all want and need the same things and that money release its power to take over and hold the world hostage. I pray for equality in life and death. I ask people to look inward rather than outward and to embrace the true light that sustains all life. I trust in the higher principals of all life; esoteric as well as exoteric. Beloveds, we come to you today understanding that there have been many trials in life, as of late, that have brought great concern and contemplation for many of you. 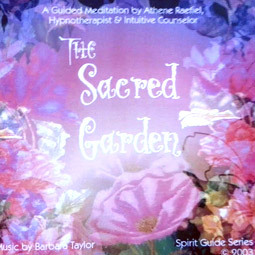 We are here to assist you with our Divine Guidance and spiritual awareness. Too many souls from your planet are crying out for our help and we are assisting those in grief and despair to the best of our ability. Where no hope exists it is difficult to get through to the masses that we are here and listening. We have only the power to help that each individual allows us to do, we cannot save people from their own selves and old conditioning; this they must do themselves. It is disheartening for us to see so many in pain and sadness as we understand how difficult human life can presently be, yet we ask only that you each remember that you are eternal and as such have a greater responsibility to grow spiritually in order to ascend the chaos and hatred surrounding you currently. It is difficult to have faith when you are surrounded by darkness and ignorance, you must remember you are the power that enlightens and helps the balance restore itself within the earth plane. You are each Mind, Body, Soul and Spirit and due to the fact that souls are returning too quickly to the earth plane due to their personal attachments, many of the new beings being born are participating with multiple souls within them. You can easily see this where a young person is belting out songs like the old souls they are carrying within themselves. Some very young people are playing instruments or dancing as if they were experts with many years of training, while still others are able to speak a variety of languages or know maps and politics as if they were born to know such things with no training or background at all. These young people possess a variety of soul memories within themselves without knowing why. They are channeling the collective soul within themselves without understanding why. Soul was created as a vehicle to return self to spirit, the eternal essence of life they came from. When soul chooses to stay incarnate in any plane of existence too long it will eventually find itself as part of the collective rather than the individual. This is not necessarily wrong but when the many facets choose to abide within one being they will have a hard time individuating therefore ascending to the higher realms, and experience more turns in the physical plane than wanted. This can also be explained differently as well. Since the whole process of ascending various planes of existence is by integrating the facets of self, when one dies the unintegrated facets must enter a realm of their own awaiting re-incarnation to complete this process. There are not always enough bodies to go around so one body may take on facets of others as well to learn from and integrate as a whole. The whole is no greater than the sum of its parts. Indeed those parts must find a way of resonating with one another to become integrated. Confused yet? Yes these are concepts that could easily be perplexing to the small rational mind, as they do not hold conventional rational at all. Ultimately it is the rational mind that holds souls back from conceptual advancement. In order to conceptualize one must be willing to understand through its feeling and inner knowing self, rather than its environment and other people. To conceptualize you must choose to learn new and adventurous methods that perhaps neither have nor make any rational thought. This we call moving beyond the rational self. If you seriously look at the state of affairs your world is currently in and tell yourself there is a rational to all of it, you are simply lying to yourself. This is where souls become disconnected from their owners to begin with. The nature of all creation is to evolve. When this state no longer exists properly within life things begin to de-evolve, creating an unnatural backward motion causing chaos and destruction. This is what has and is happening to your world. People choosing to have power over one another and nature have created this debacle called reality and love to feed off the pain and negativity it produces. This is fear based existence and destroys goodness and love. Balanced polarity is what is needed to restore some semblance of sanity and common sense to the earth plane and its inhabitants. Good and evil must respect one another and learn to work together; not through fear but through awakening and understanding the bigger picture of life and the hereafter along with its continuous stages of evolution. We are here to share knowledge and awareness to any who choose to listen; we are not your conscience but part of your consciousness. 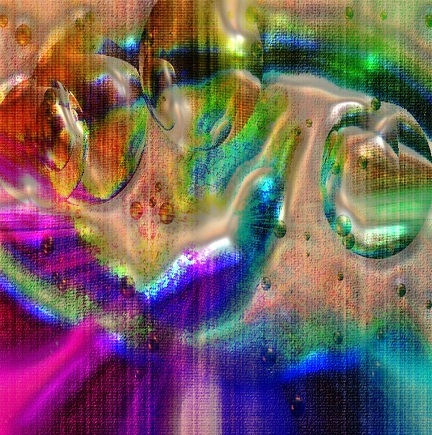 When you quit battling the facets of self and begin to realize you need to integrate them you will find peace and love. What you do with that understanding will have to do with your conscience and conscious awareness of your choices from then on. When channeling this piece I was surprised to be told that they were the now the Universal Brotherhood. Previously they always identified themselves as the Brotherhood of Light and before that The Great White Brotherhood. I find it interesting that they wish to be known by this new name but for all intents and purposes it is more politically correct to the human mind. Much has been spoken of in this channeling and the only thing I would add is there are many tools available to walk your path of enlightenment. I have found the learning of the chakras to be invaluable when discovering the various bodies of consciousness we hold within ourselves. I recently discovered teachings on You Tube called “Spirit Science,’ which is very helpful to all wishing to learn about the chakras. I highly recommend it to everyone. Within the Astral are many different levels of existence. When we remember that the heart chakra is attached to both the upper and lower chakras, exploration of the astral becomes one of a spiritual as well as physical nature. All things being interconnected and part of a whole, whatever people believe to be truth, is created and dwells within the astral plane. The astral body and astral consciousness experientially travel throughout the astral plane continually. In the physical plane, we, our planet and solar system are all within the astral plane. The astral is a repository of the energies of the Cosmos on their way downwards and it is a receptacle of whatever passes out of the physical sphere on its way upward. Exploring the astral plane is like going to a library that is filled with an immense variety of categories and experiences. 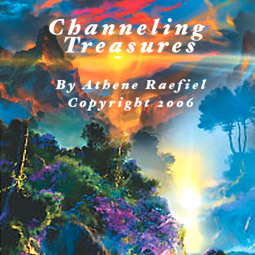 Each person’s book of life as well as all the stories of creation is cataloged within the astral library. All information and learning in the astral is transmitted and received through a process of osmosis. In this manner, we actually absorb information though our inner awareness and understanding. In metaphysics, the astral library is often referred to as the Akashic Records. To understand fully the volumes of information we have access to here; we need to become spiritually integrated. The five outer senses are of little use when exploring the astral plane and Akashic records; opening and developing the inner senses is primary. One of the levels of experience within the astral plane is referred to by some as hell, or purgatory. This dimension is where the so-called demons reside. Every thought and emotion humankind experiences produce energy. Through our fears and vivid imaginations, we create energies that often produce entities. 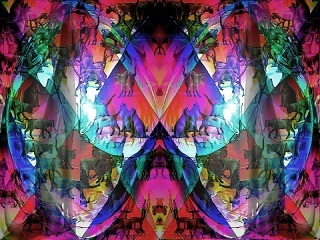 These thought forms dwell within the astral plane and are seen as demons. Not all demons are bad. Many religions refer to Angels and other beings of light as being demons as well. Yet energies that are created from ignorance and fear are dark energies and feed off the negative emotions of man. Needing negative emotion to survive they often attack humans in their sleeping and waking state producing fear and hatred so as to feed. Hence came the lore of vampires. Seemingly, human beings cannot make themselves do what is good unless they have the threat of evil to overcome. This martyr program has been taught as a religious dogma helping humans acquiesce to it as being their nature. The power of evil is great only because of the power we give it. Energy creates, and beliefs are very potent energies. When people believe in fear, pain, chaos, and deprivation, these projected energies take on a form and life of their own. The dwelling place of these vampire energies is known as the lower astral. These are our energies; therefore, they become our demons. When we die, these entities remain in the lower astral awaiting our return to earth. When we reincarnate, these energies are restored to us because we are their creators and only we have the power to un-create them. We must see for our self what we have initially created, before we can create anew. Because all things are created from energy, all things can be brought back to a pure energy state. Reacting in fear or ignorance when confronted with these creations blocks our spiritual progression. By continual denial of the existence of these blocks humans remain stagnate and remain stuck in dysfunction. When we open our hearts to transmute our creations, “our demons”, they disappear. This only happens by us bringing them a pure energy state of love. Love is the eternal fire of life that burns within every heart. Love is the greatest healer that we have. 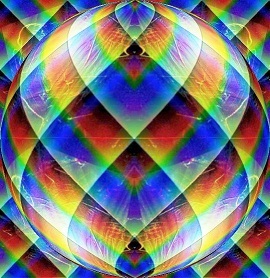 Heavenly worlds of color and geometry also dwell in the astral plane, awaiting exploration. 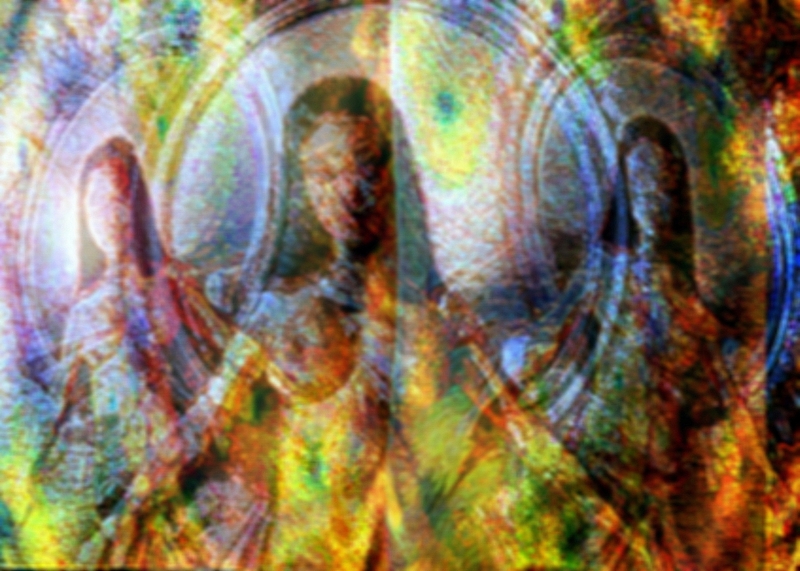 Using astral consciousness, one can see and experience Angels and Teachers of Light. These beings use this plane of consciousness, to make themselves visible to us. Using our astral consciousness, we can visit other universes, galaxies, and beautiful temples of love. The astral plane was created for us to have direct accessibility to our companions in spirit. These beings are known as spirit guides. These guides and teachers of love are part of our spiritual family. They are always with us in spirit helping us understand the spiritual nature of our earthly journey. 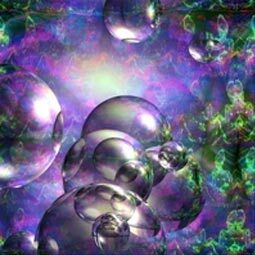 When people first begin consciously journeying within the astral plane, they tend to doubt the reality of their experiences, suggesting to themselves that its all imagination. They find it inconceivable that such a glorious and magical life can exist in the midst of our chaotic everyday existence. It is the outer world senses and learned responses that are at first difficult to override. It takes time and training to experience and accept the different realities that exist, especially when they exist within you. Our perceptions can only change when we open and allow it to happen. When we take the time to explore the astral realm, we can discover a limitless multitude of spirit awareness and personal understanding. Today I focus on solitude and its many attributes. If you don’t work on you who will do it for you? I take back my power in my life to think and feel how I choose. I am worthy to be free of negative thoughts. I am successful and happy in life. Using these three sentences over and over again, feel yourself replacing the old thinking with the new. Realize you deserve to feel free and happy; do something immediately that makes you feel good about yourself. This is simply one of the many affirmations you can use. 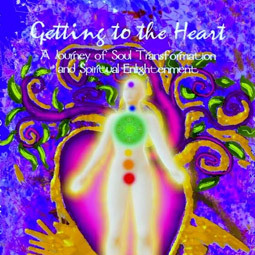 I have many more in my book “Getting to the Heart” A journey of soul transformation and Spiritual Enlightenment. Available at all book stores for merely $10 dollars. 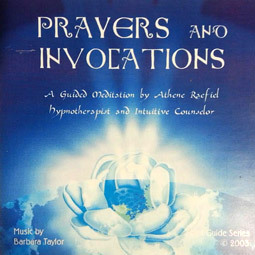 I have an array of Guided Meditational CD’s at CD baby.com to download and use as well; all good and powerful stuff.